Skype Translator Coming To Windows Desktop With Support for 50 Languages! Skype has been doing several experiments to improve the user experience since 2014 by using Skype Translator. Last month, Skype made it easy for the users to download and try Skype Translator preview by removing the sign-up requirement. 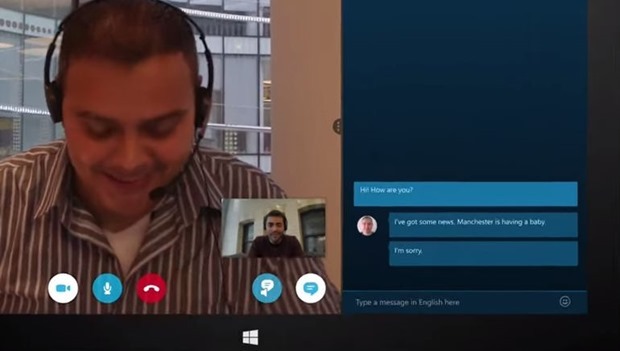 And there was a huge response from the users to try this innovative technology from Skype. Right after the removal of sign-up requirement, the popular calling app saw 300% hike in Skype Translator usage. As per the blog posted on Skype, Skype Translator Preview will be launched for the Windows users (using Windows 8.1 or Windows 10) by the end of August and they can try this translator in 4 different speaking languages. They are English, Spanish, Italian and Mandarin. Additionally, it will also have 50 written instant messaging languages to translate from one language to other. By using this translator, you can call anyone of Skype and your conversation will be translated to the respective language of the opposite person in real time. If somebody talks to you in Spanish language, the conversation will be translated in English on the fly and you can immediately answer back in English which will then converted into Spanish. How Does the Translator Works? Anyone in the world can use the Skype Translator Preview on their windows PC or laptop. However, the ones dealing with clients in different country with different language preferences will find it more immensely useful. There are times someone approaches you with a project, but he/she is unable to speak in English and can only speak the native language. This is the time when you, as a business owner, will find it pretty easy to deal such situations. It would be interesting to see when Skype would add more languages to make it appealing to audiences across the world. The engineers at Skype say that application will get better with time as more users use it and their machine learning algorithm gets better. So, it might take few months for Skype Translator to translate the conversations without any errors. Did you try the preview version which was released last month? Do share your thoughts if you have already experienced live translation. "Skype Translator Coming To Windows Desktop With Support for 50 Languages! ", 5 out of 5 based on 1 ratings.